The Colney Heath railway site will be open to the public on the Sunday afternoon, 14.00 to 17.00hrs on the 5th May 2019, then on the 19th May and every first and third Sunday afternoons until the 20th October 2019. Parking is recommended near St Marks Church in Church Lane and not in the narrow road between the Cemetery and over the bridge to Park Corner. Also please note that the rough track approaching our site from Park Corner is now classified as a BRIDLEWAY. This is a Private Site and no PRIVATE PARTIES or PICNICS are allowed on the site during Public Running Days. If you require further information about the North London SME please click here. 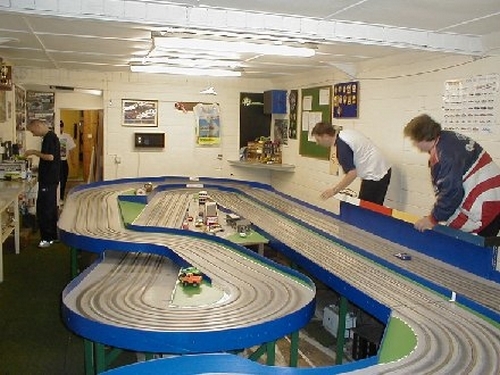 The North London Society of Model Engineers (NLSME) was originally founded in 1944, the aim through which the Society was originally founded still remains today, and that is to promote and encourage model engineering and its related pastimes. Please click here for a map of our Colney�Heath�Site.